Luis (Homepage) wrote: Clever all the way. Francesco (Homepage) wrote: ma come ca....??? bella foto, particolarissima. Ho capito che ci perderò la testa su questa! Keekee (Homepage) wrote: How did you take the picture without showing the photographer? That is amazing! Linda (Homepage) wrote: This is an amazing looking perspective. I especially love the red frame. tom (Homepage) wrote: Superb image! Arjan - PlasticDaisy (Homepage) wrote: Well well, the photographer is not reflected in this special mirror! :) Very well done! CrashRyan (Homepage) wrote: it goes on for ever! it's maddening! Arnd (Homepage) wrote: Mmmm… Where was the camera positioned? Superb deliberate confusion, Paolo! Roland (Homepage) wrote: A very nice photo! Visioplanet (Homepage) wrote: Lovely composition! Linda Bradshaw (Homepage) wrote: I love pictures-in-pictures like that! This reminds me of the portrait of Stephen Colbert over his fireplace. So much fun! Stacy (Homepage) wrote: Great photo and I love the title even more! janina (Homepage) wrote: I love these sorts of pix! Well done, great humour! buntagphoto (Homepage) wrote: Very cool montage. Wolfgang (Homepage) wrote: Great idea and realisation. Like it very much! 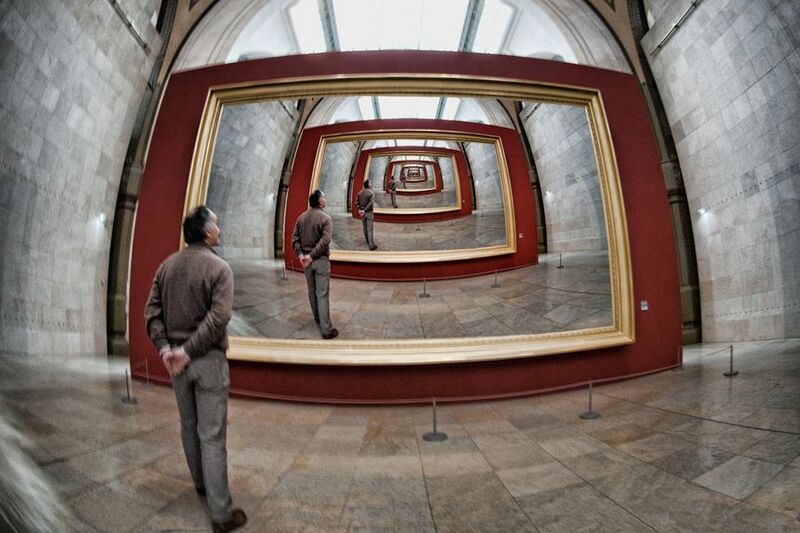 Olaf (Homepage) wrote: fascinating shot, it must be through a mirror - fisheye. Great idea!